Allure Dental (Herndon) - Book Appointment Online! 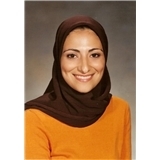 Welcome to Allure Dental, the private dental practice of Iman Ayoubi, DDS. Allure Dental is a state-of-the art General and Cosmetic dentistry practice located just outside of Washington, D.C. in Herndon, Virginia. Our practice welcomes patients from all the surrounding communities of Northern Virginia. Allure Dental is designed with the latest in modern dental equipment to ensure that our patients are offered the best clinical care in the most comfortable setting. We use the latest technologies available in modern dentistry to ensure that your smile is the best it can be. We strive to maintain the focus on you, the patient, by listening to your concerns and goals, finding out why you came to us. Our staff is made up of highly qualified and friendly professionals who are dedicated to meeting your dental needs. We invite you to email or call our office at any time to request an appointment. We look forward to meeting you! On my first visi to Dr. Ayoubi's office today, I realized that she is the best dentist I have ever visited. I recommened her to a friend in DC already. She is so detail-oriented and informtive. Her office is fully equipped with state of the art technology and she is very relatable. I really enjoyed my visit, as I was able to watch TV while I was having my teeth cleaned! I highly recommend Dr. Ayoubi.